Light on the Golden Gate. “Many people spread their cloaks on the road, and others spread leafy branches that they cut in the fields.” Jesus enters into Jerusalem carried upon a colt. We celebrate Palm Sunday. This image of Jesus entering into Jerusalem is a story we find in all four Gospels, which tells us that all four Gospels writers considered this story, this triumphant entrance of Jesus into Jerusalem, as important. That alone tells us a lot. Hardly any stories concerning Jesus appear in all four Gospels, and often when they do appear in all four they subtly contradict one another. These contradictions and inconsistencies, and even omissions, point towards something we need to remember about the Gospels, that the Gospels are not primarily concerned with conferring to us historical facts, they are primarily concerned with conveying the mythological narrative, the cosmic significance weaved into the Jesus story. So we may get hung up upon the historicity of these accounts – How many times did the rooster crow? etc. - but really the historicity matters very little, if at all. What matters is the story being told. I’ll state it even more strongly. The pearl of great price, the truth, that of ultimate concern, is not located in the man two-thousand years ago, it’s located in the story being told and received today. If we think more broadly about the Jesus story, what comes to mind? The Christmas story - the shepherds watching by night, the baby in the manger perhaps, the wise men? Or maybe we think of that most central prayer, the Lord’s Prayer: Thy Kingdom Come. Or we may think of Jesus’ first miracle, the water into wine, or perhaps that parable which many see as the cornerstone of the Christian faith, the parable of the Good Samaritan. What’s interesting about each of these, as central and important as they all are, is that none of them appear in all four Gospels. None of these examples are so totally critical to the Jesus story that all four Gospel writers agree upon the necessity of their inclusion. But the image of Jesus upon the colt riding into Jerusalem - they all agree upon that. They all see that as a vital component. Obviously, the reason it is vital is because of what this image signifies, and what it signifies is not readily evident. And that’s an important point to understand. This imagery is significant because it’s interacting with (or in dialogue with) the dominant stories, beliefs, and assumptions of those first century peoples. We can think of an example of this today. If I was to give someone a rose, we would understand that to carry a certain meaning. Think about how much is wrapped up in such a simple gesture. 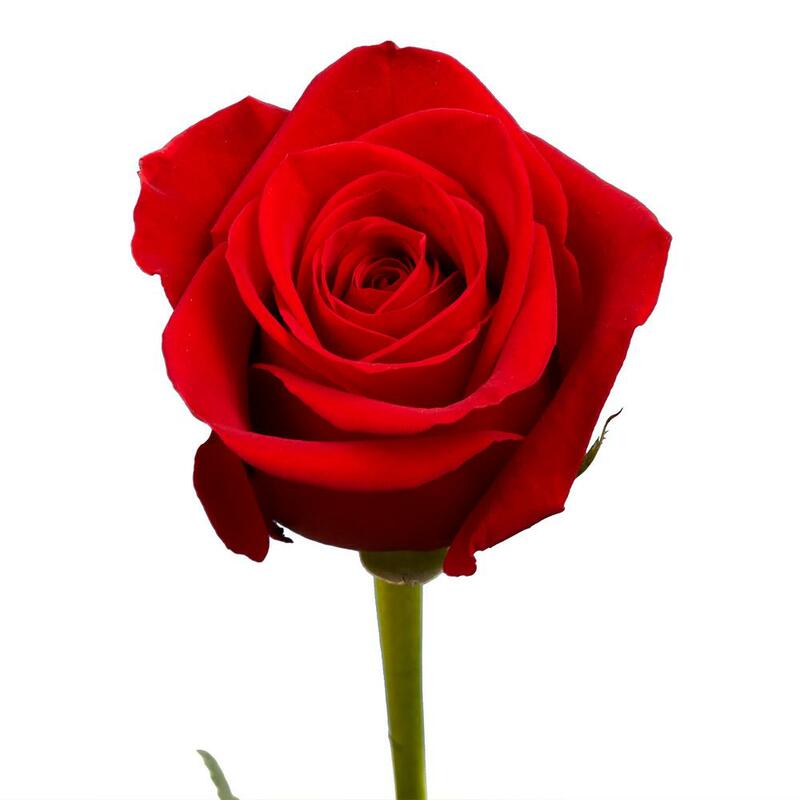 There are gender assumptions tied into the giving of a rose; it’s perceived as a romantic object, and is often used to convey feelings of love. A single red rose says something very different to a bouquet of yellow roses. Red petals say something different still, and so on. All this symbolism requires us to have a wealth of knowledge at our fingertips that we all take for granted. But if this symbolism is committed to paper, and then teleported to a different time, a different culture, and a different world, all that rich meaning is lost. It has to be rediscovered. We have to play the detective and see how this symbolism is employed, see what reactions it invokes, and see upon what other occasions such symbolism is used. Then slowly we can piece together the various meanings and build up an entire world of meanings and assumptions alien to our own. That is the process necessary to understand this image of Jesus upon the colt entering Jerusalem. We have to enter the mind of the intended reader, the apocalyptic Christian/Jewish persons whose worldview was shaped by the various mythic motifs of their time and place. And so, as is often the case, we should anticipate ideas in the Old Testament being echoed in the New. The Old Testament helps us unlock the New. The reason it was called the Golden Gate is because it was literally covered with gold, along with the façade of the Temple that was covered with Gold. 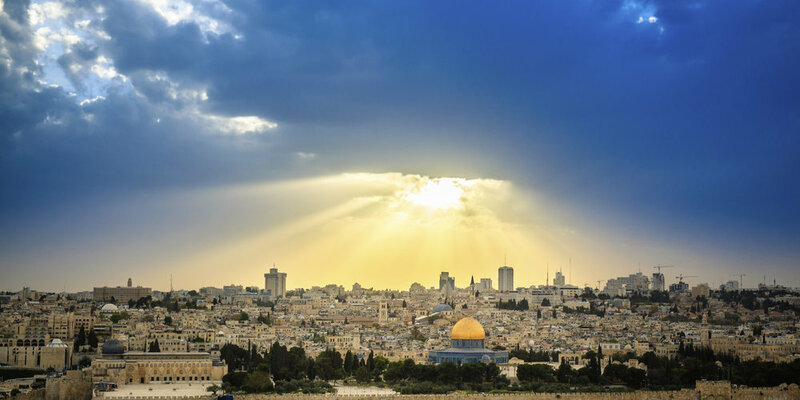 The hot Middle Eastern sun rose and shone with fiery brilliance upon the gate - a scene of bright light and waving palms and the Davidic King riding forth through the gates of righteousness. And so, this image of Jesus’ entrance into Jerusalem through the Golden Gate, as the Gospel writers frame it, has one very clear objective – to show us (the readers) that Jesus is the Davidic priest/king. The writers present Palm Sunday as the people’s recognition of Jesus as the Davidic King. So you could say that Palm Sunday is, in effect, a dramatized version of that question he previously asked of his disciples, “Who do you say that I am?’. Now it is not just being asked of the disciples. Everyone is being asked. And of course, we all know as Unitarians that this question “Who do you say that I am?’ is so often distorted through the assumption that Jesus is God. In Orthodox circles, if this question is put to someone (you’re in a small group setting and that question is discussed), it’s Jesus’ nature as a member of the Godhead that is being alluded to. We are culturally conditioned to hear the question in that way. So we almost need to deprogram ourselves before we can hear afresh what the Gospels writers are even driving at. By putting Jesus front and centre in this Tabernacles-like procession through the Golden Gate, the Gospel writers are claiming him to be the Messiah, ‘the anointed one’. The complication arises that although he is not understood to be God (to be Yahweh), he does represent Yahweh, and as such is worshipped by early Christians as a representative of Yahweh, which is a subtle yet critical distinction. You can find an example of it in the Epistle to the Hebrews, which says, ‘let all God’s angels worship Him’. Its seems odd that Jewish people would worship Jesus (a man) if he is not God, and it’s of course because he represents God. And he is not the only example of this happening. In the Old Testament when the High Priest emerged from the inner sanctuary, from the holy of holies, it is said he was like the morning star, like the sun shining on the temple (that imagery again, the brilliant sun upon the face of the temple). His very presence made the court of the temple glorious, and in response all the people together fell to the ground upon their faces to worship their Lord. Which is to say, they are worshipping in that moment the High Priest, because in that moment he represents Yahweh. Though he is of course nevertheless just a man. And in the same way, there are examples of the Kings of Israel being worshipped as, again, representatives of Yahweh, despite being again very much just men. So, first/second century Jewish people worshiping Jesus as a representative of Yahweh is certainly not as strange an idea as it first sounds. It’s perfectly consistent with the Old Testament. But to emphasise the point, Jesus is always, and without exception, seen as separate and subordinate to God in the New Testament. And so, as a representative of Yahweh, Jesus has a divine mandate: to inaugurate the Kingdom of God upon earth. Thy Kingdom Come: enact into being that which was only present within the Holy of Holies within the innermost part of the Temple upon all of creation. Within the Holy of Holies is the place illuminated by the light of God’s presence, but now that light of the Kingdom is within the midst of you all. It is universalised, it is called forth and enacted into being. That is Jesus’ proclamation, and that is what he seeks to enact. And so, having now moved up towards Jerusalem and through the Golden Gate, Jesus begins his very short-lived ministry within Jerusalem, in which he is going to push his agenda despite the inevitable consequences. And so, a few things happen in quick succession. First he goes into the Temple and he tells the parable of the Wicked Tenants, which is essentially a ‘get stuffed’ message to the chief priests and Pharisees, so he’s being incredibly brazen. He is saying there’s no privileged position anymore; the kingdom is for everyone. And then to really drive the message home he returns to the Temple later that day or the next day, and turns over the tables of the money changers. The reason for that was the money changers had in effect become the gatekeepers to the Temple. You had to pay the right amount to get the right offering to sacrifice to God, and the effect of this was that poor and foreign worshippers found getting access to the Temple more difficult or impossible. And so Jesus is enraged. The Kingdom is not for the privileged few, the kingdom is for everyone. And then we know what happens after that. He is arrested and crucified. The Temple veil rips apart, which is to say the light of God ceases to be contained within Holy of Holies. The implication for us is that we too should enact this equalitarian kingdom into being with just as much fire in our gut, whatever the consequences may be for us personally. Palm Sunday then is the beginning of the End. The beginning of our journey towards Jerusalem, towards the crucifixion, towards the hope which lies beyond his death – the Kingdom of love, the universalised kingdom which stretched beyond the death of any one person. Source: The work of Margaret Barker.